Bilbo Baggins (Martin Freeman) must go on a quest to reclaim the lost Dwarf Kingdom of Erebor, which was conquered by the dragon Smaug. Unexpectedly approached by the wizard Gandalf (Ian McKellen), Bilbo agrees to join a company of dwarves led by legendary warrior Thorin Oakenshield. 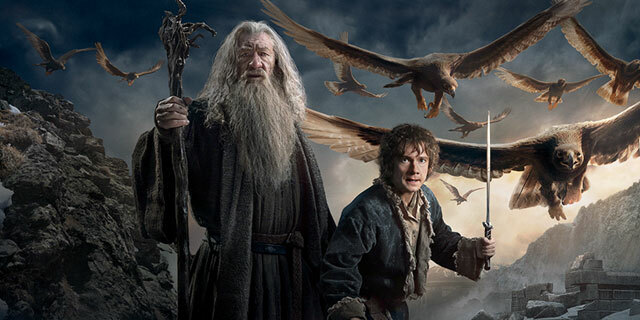 The journey takes them through treacherous lands swarming with goblins and orcs, deadly wargs and giant spiders, shapeshifters and sorcerers and ultimately leads Baggins to finds a magical gold ring tied to the fate of all Middle-earth.